Six down: two to go. Alas, I am unlikely to be able to hear the final two programmes in Igor Levit’s Beethoven series, but there were on this occasion perhaps a few intimations of the late(r) sonatas I shall miss (nos 27-32). Not that there was any one generic aesthetic applied to the works: the richness of their variety was celebrated, each sonata clearly considered in its own right. From the op.31 set, we heard the first, in G major. Levit immediately showed himself to be a fine communicator of contrast, humorous and otherwise. Its first movement was fast, insistent, even obsessive. Work and performance made me smile; they also made me nervous. Oscillation between major and minor registered full of potentiality. Both the fury and the concision of the development were fully apparent, with the recapitulation seemingly as full of something new as something old. Beethoven’s games in the coda were properly relished. Humour remained to the fore in the slow movement, its almost absurdly ornate neo-Classicism speaking for itself. That certainly did not preclude subtlety; the ability to surprise arose seemingly naturally, however problematic that idea, from command of line. In the finale, intimations of a later Romanticism and indeed a later modernity still had no need to be underlined; they spoke nevertheless, as playful as Beethoven’s reckoning with his own inheritance. The Pastoral Sonata is a more overtly seraphic, indeed sublime work, and so it sounded. What a wealth of music, in the strongest sense, there was to be heard in sequences, in repeated scales. Always werden, never sein: the essence of Romanticism. Beethoven’s radicalism sounded most pronounced in the first movement’s development, peering forward to the fractures of his late self. The moment of return brought due consolation. The sublimity of insistency in the onward trudge of the ensuing march quite rightly sounded close to Schubert, without ever sounding quite ‘like’ his music. Line again was key, but so was variegation. The whimsical central section sounded as if from a different world – or did it? At any rate, the return of the march material seemed transfigured by the experience. An urgent, even impetuous scherzo – its trio too – was over in the twinkling of an eye, drawing comfort in the opening bars of the finale. Whilst that comfort was certainly not illusory, there were battles yet to be fought and won. That victory proved both hard-won and elegant. In the second half, we heard the two op.27 sonatas. I am not sure how much sense, even as metaphor, it makes to speak of a velvety touch, yet that was how the opening of the first movement registered to me – in tandem with irreproachable clarity. Holy ground was never confused with false piety. The shock of the contrasting material was communicated with authentic Beethovenian brusqueness. A scherzo that balanced fury and humour glanced back to Haydn without any sacrifice to the impression that it might have been written yesterday. Nobility of utterance in the developing variation of the Adagio con espressione section was unmistakeable: Beethoven and his interpreter reached for the stars, and came very close indeed to them. This certainly sounded as one of those intimations of the late master, as did the transition to the finale, whose fantastical brilliance relished both Beethoven’s humour and his prodigality of invention. Once again, we were reminded that this was a pupil of Haydn. The hushed anticipation to the very opening of the Moonlight Sonata – it may be a silly nickname, but it is probably not worth contesting it – seemed somehow to condense an entire symphonic introduction into the simplest of choral progressions and piano figurations. Again, it developed – and reminded us of what an extraordinary, indeed astoundingly original piece of music this is, quite unlike anything else. The dignity with which the first movement unfolded was quite spellbinding. Imbued with a proper sense of nostalgia, although certainly not sentimentality, the Allegretto suggested Mozart slightly overgrown, its trio very much in the line of the explorations we had heard earlier in the Pastoral. There was nothing backward looking there – save perhaps for a fond glance back to the chromatic sliding of the Jupiter Symphony’s Minuet. The finale proved startling, as it must, its excitement visceral, yes, but above all musical. Structure and detail combined to create not only form but meaning. It was to hear Maurizio Pollini play Chopin that I paid my first visit to the Royal Festival Hall. Then, I was one of the students on stage, benefiting from the £5 tickets available to do so. It seemed fitting, therefore, that my last visit for some time at least should be for the same. (This time next week, I should be in the air to Berlin, where I shall be based for the rest of 2017, taking a much needed break from an increasingly vicious, racist country.) On the present occasion, I treated myself – well, used up my remaining credit vouchers – to a ticket in the Stalls. Swings and roundabouts, perhaps, in that respect; I could see less well, yet perhaps hear better. More importantly, Pollini’s artistry, whilst now in some ways very different in its nature, or rather in its surface nature, remains undimmed. It is as intelligent, as probing, as radical as ever: if anything, still more so. 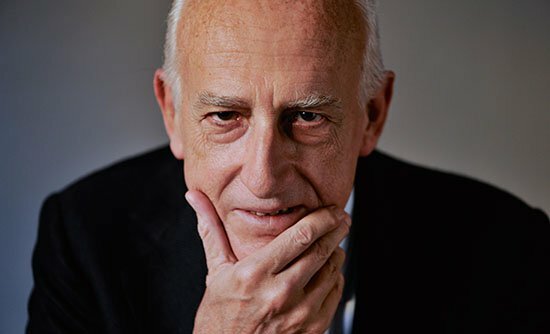 The nonsense one used to hear about Pollini – ‘technically perfect, but where is the emotion?’ as if the two were somehow diametrically opposed – has now been replaced by a bizarre insistence, mostly from the very same people, that the occasional technical slip invalidates everything else he does. Clearly they have other reasons – often political: you will often find a reference to his socialism – for what they say. People are perfectly at liberty to like or to dislike Pollini’s playing; let them be honest, however, about why. The pair of Nocturnes, op.27, with which Pollini opened the recital – I once heard one of his detractors claim, bizarrely, ‘no one wants to hear two Nocturnes in a row’ – emerged more strongly as a pair than I can previously recall. That is not to say that their differences were ignored, far from it, but that an almost Lisztian transformative impulse, mixed – looking ahead – with a quasi-‘impressionist’ sense of watery depths, somehow both clear and impenetrable, bound and freed what might never have been ‘intended’ to be bound in the first place. For everything one hears about Chopin’s inspiration in Bellini, what struck me here, not for the first time, was that what is of far greater interest in Chopin is how he differs, how he transforms a stiff melodic model and renders it endlessly flexible, of endless harmonic fascination. Pollini’s emphasis upon a particular note, especially in the C-sharp minor Nocturne, had not only the piece, but seemingly the entire harmonic universe, spinning upon its axis. Generalisations about structure seemed quite beside the point; form – a more dynamic conception, perhaps, than structure – was recreated before our ears, Chopin’s lines playing out with simultaneous spontaneity and inevitability. The two Ballades followed another interesting tonal progression: no accident that, I am sure. Where we had gone from tonic minor to major, now we went from major to relative minor. The recreative – formal, one might say, in the sense outlined above – was powerful throughout, seemingly taking in, just as in one of the pianist’s traversals of the twenty-four Preludes, that entire tonal universe, yet never bureaucratically, always, to use a properly Romantic word, ‘poetically’. The motivic working seemed as tightly knit, endlessly generative, as that of, say, Schoenberg. It is quite different, of course, but that does not make it any sense inferior. A lovely, almost Venetian account of the Berceuse, which yet more than hinted at turbulence beneath as well as upon the surface, led to a B minor Scherzo that seemed to strive, and indeed to achieve, veritably Lisztian heights and depths. This, as ever with Chopin, was a Scherzo that did not jest, and yet a kinship of spirit, as opposed to method, with Beethoven more than once suggested itself. I had only heard Pollini play the first book of Debussy Préludes in concert before (whether complete or in a selection). His way with the second was quite different from my memories, indeed quite different from anything I might have expected. Although the twelve pieces seemed quite ‘naturally’ – what artifice, even feux thereof, there will always be in that – to form a whole, there was no evident attempt to make them do so, no particular æsthetic, whether ‘modernist’, ‘impressionist’, or anything else. Connections again suggested themselves; perhaps I was just in that sort of mood. We started with a post-Lisztian Debussy, the Liszt of old age, not only Nuages gris but harsher, darker, more Mephistophelian tendencies leading us through Brouillards, with very open-ended non-conclusion, into Feuilles mortes. (Come to think of that, is that not a rather Lisztian title and idea?) Rhythms proved suggestive – not only pictorially, indeed not even especially pictorially, but of musical process, musical possibility. We can all hear the habenera without having it underlined; Debussy is not Bizet, nor indeed Ravel. (I do wish, though, that Pollini had played some of the latter’s music. Imagine a Gaspard or a Miroirs!) Likewise the cakewalk. ‘God save the King’ was less deconstructed, as one might have expected, than permitted to decompose – and re-compose. And there was – I am afraid I cannot for the life of me remember where – a strong suggestion of Mahlerian, even Schoenbergian waltzing somewhere else, such as I cannot recall ever having heard before. Se vuol ballare, Signor Pollini? Les tierces alternées proved as true a study in its nominated interval as I can recall, Webern but a stone’s throw away, if that. And it was to Liszt, to nineteenth-century pyrotechnics, that we returned in those closing Feux d’artifice. As ever with Pollini, there was at least as much to enjoy, and to think about, in the encores. Typically generous, he gave us La cathédrale engloutie, hieratic yet subtle, and two more Chopin pieces, the C-sharp minor Scherzo and the G minor Ballade, both burrowing deep beneath the surface, harmonic rhythm very much their guiding principle. Se vuol ballare…? I could have danced all night. It is not every day, every decade, perhaps every lifetime, that one attends a Stravinsky premiere. Stravinsky wrote this orchestral work in 1908 as an elegy for Rimsky-Korsakov and it received its very first performance on 17 January (Old Style) 1909 in a concert dedicated to his teacher’s memory at the St Petersburg Conservatory. 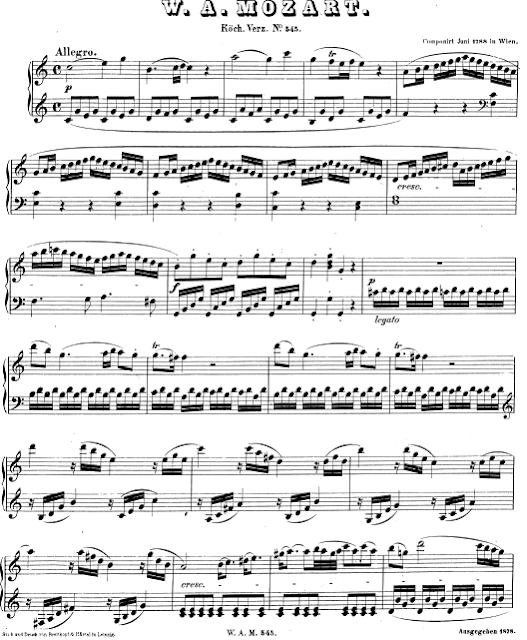 The score disappeared, along with many of the composer’s effects, during the Revolution. Nevertheless, Stravinsky, reckoning it his best work prior to The Firebird, remained hopeful. ‘The orchestral parts must have been preserved in one of the St Petersburg orchestral libraries;’ he would recall. ‘I wish someone in Leningrad would look for the parts, for I would be curious myself to see what I was composing just before The Firebird.’ The uncatalogued parts were finally discovered at the Conservatory in September 2015, after which Natalia Braginskaja assembled and edited a full score. It then received its second performance, again in St Petersburg, by Mariinsky forces, on 2 December 2016. Here, in a change to the advertised programme, it received from the Philharmonia and Esa-Pekka Salonen its national premiere. Much as I may have regretted the loss of Ligeti’s Clocks and Clouds from the programme – I have never had opportunity to hear it in concert – I could hardly lament this opportunity; nor do I lament it in retrospect, following this estimable performance. Stravinsky, unable to remember the detail of the score, nevertheless retained a strong conception of its overall idea: ‘I can remember the idea at the root of its conception, which was that all the solo instruments of the orchestra filed past the tomb of the master in succession, each laying down its melody as its wreath against a deep background of tremolo murmurings simulating the vibrations of bass voices singing in chorus.’ Put like that – I only read his description after the performance – it sounds, whether by accident or design, a somewhat Berliozian conception. And I think, rather as I wrote about last week’s Rihm Gruß-Moment 2 premiere (in memory of Boulez), there is something of that invisible, ‘New German’, stage to what happens here. Liszt and Wagner, as well, of course, as Rimsky himself, seem other points of potential reference, as do other early Stravinsky works such as The Firebird and, still earlier, his op.1, the E-flat major Symphony. That sense of individual instrumental visitation was strong, naturally – a flute solo in particular made me think of the Wagner of Siegfried – but so also was a sense of the whole. If there were undoubted tendencies towards the sectional, they were few, and almost certainly a matter of work rather than performance. The aforementioned Symphony has them too, as of course, more ‘naturally’, do the ballets; at what stage in Stravinsky’s career, I wondered, did such ‘breaks’ become polemical, a compositional strategy, rather than a slight, ‘un-symphonic’ weakness? Does his cellular method in, say, The Rite of Spring, actually arise in part from a lack of inclination to Austro-German symphonism? It was neo-Wagnerian Fate that seemed to rule the roost in the closing bars; surely this overwhelming weight of influence, partly via Rimsky, partly direct, was a factor in the composer’s later anti-Wagnerism? Many thanks, I should add, to Boosey & Hawkes, for permitting me to see a copy of the score in Dr Braginskaja’s new edition. Salonen seemed, unsurprisingly, greatly moved by the experience, clutching his score with evident devotion as he – and it – received deservedly warm applause. For a list of other premieres, click here. Pierre-Laurent Aimard joined Salonen and a vastly reduced orchestra – more of a modern ‘ensemble’ really, and a highly virtuosic one at that – for Ligeti’s Piano Concerto. I do not know what it has been in the air this year so far: barely past mid-February, and I have already heard Le grand macabre, the Violin Concerto, the first String Quartet, and now this. Long, however, may it continue! Rhythmic exactitude characterised the opening, as it must, but it was never for its own sake, always expressive. Stravinsky – later Stravinsky, of course – and the Central African pygmies in whose music Ligeti took such an interest, were possible points of reference, but this music unquestionably spoke for itself. Salonen’s conducting of such an array of metrical lines was as impressive as Aimard’s furious pianistic despatch of others. I learned much by simply watching, although still more, of course, by listening. Lento e deserto is Ligeti’s marking for the second movement, and ‘deserto’ it immediately sounded. Piccolo and double bass, eventually joined by bassoon, created not only a unique soundworld, but, more importantly, a unique emotional world. It sounded, felt like ‘night music’ after Bartók, but the ‘after’ was just as important as the ‘Bartók’. It was quite mesmerising to hear, to experience how other instruments sounded both like and unlike ‘themselves’, without much in the way of extended techniques as traditionally understood. Bartók also seemed to make a ghostly appearance in some of the piano melody and harmony, the contrasting orchestral eruptions packing a punch such as he would surely have approved of. Aimard’s mastery of such brutally difficult writing was in itself not the least of the many wonders of this movement. An enigmatic ocarina added further to the sense of almost other-worldly desolation. The third and fourth movements sounded particularly strongly connected, the latter very much a response to the former – which entails difference, of course, as well as affinity, much of it or rather of them! If the third movement opened both in febrile and mellifluous fashion, suggesting perhaps a reimagining of Debussy (partly Aimard’s doing? ), then a kinship with Messiaen later suggested itself (again, surely, born in part of Aimard’s immersion in that composer’s music). Percussionists and violin (Zsolt-Tihámer Visontay) proved at times soloists, and/or chamber companions, in their own right. The complexity of invention in the fifth and final movement had me think at times of Elliott Carter, and yet what we heard could not merely be ‘likened’ to anything else. This was a spellbinding performance, almost as exhausting as it was to play, yet surely every bit as rewarding too. Let us hope that there will be more Ligeti to come from Salonen and his orchestra in the not too distant future. Now where might I hear the Cello Concerto and the Double Concerto? After two such intrinsically extraordinary performances, Daphnis et Chloé might well have come across as a bit of an anti-climax. Not a bit of it. Balance and atmosphere were revealed throughout as two sides to the same coin. I was struck by how ‘French’ the Philharmonia sounded, not least in its string tone; this was an unquestionably Ravelian eroticism we heard. Salonen traced the score’s contours lovingly, knowingly; here there no corners to be perceived, however tricky that must have been to engineer. One could visualise – the dramatic directions in the score were shown as surtitles – but equally one could hear this ‘choreographic symphony’ without doing so. Dance, nevertheless, lay at its heart. If laughter were as vividly pictorial as anything in a Strauss tone poem, it was, as in Strauss, never permitted to distract from the musical argument. The eery stillness when an ‘unnatural light’ suffused the landscape was quite something indeed; one really began to hear what Stravinsky so admired in this score. Pan’s apparition proved awesome in the proper sense, seemingly leading to intimations of The Rite of Spring in the second part, which took upon itself something of the character of a symphonic scherzo – until, as with Ligeti, it became something else entirely. Character, like everything else, was never static. Here, one felt, was a musical development quite different from anything in Beethoven, yet no less impressive. The warmth of the sunrise in the third part, followed by such a glorious full orchestral sound, would have been worth the price of admission alone, leading to a climax that both left nothing and yet also everything to the imagination. The fantastical twists and turns that followed would surely again have appealed greatly to Stravinsky, engendering the excitement and indubitable conclusion of the bacchanal. There was something utterly un-Christian, perhaps even anti-Christian, to what we heard – and perhaps saw in the theatre of our imagination. And yet, quite unlike Stravinsky, say, there was nothing remotely polemical to it. This was Ravel. This concert was recorded by BBC Radio 3 for broadcast on Friday 24 February and will be available thirty days hence on iPlayer. Perhaps I had just not been on the right wavelength, or in the right mood, for I felt similarly about ‘Nana Triban’, transcribed and arranged for string quartet by Jacob Garchik, from the Malian balafon player, Lassana Diabaté’s 2016 Sunjata’s Time (a Kronos Quartet commission). Cellist Val Wellbanks had the tune, the rest the accompaniment. It was pleasant enough, but I could not help wondering how much had been lost in transcription. It had been two years, almost to the day, since I had last heard the Berlin Philharmonic (in the flesh, anyway). Then it had been Mahler (with Lachenmann) in London; now it was Mahler (with Rihm and Ligeti) in Berlin. The contemporary (more or less) works fared splendidly on both occasions; Mahler, I think, fared much better on this, the interventionism that has latterly characterised Simon Rattle’s work with that composer less distracting, more convincing. The orchestra, of course, remains a great one, now as fearless in new music as its fabled earlier self was in Beethoven and Brahms. Wolfgang Rihm’s Gruß-Moment 2 was not quite receiving its premiere: that had taken place on the first of these three performances. It is nevertheless emphatically a new work, albeit performed with a confidence that might suggest otherwise. Rihm’s piece – allegedly five minutes long, but significantly longer – is one of twelve commissioned by the Stiftung Berliner Philharmoniker from different composers, apparently given carte blanche as to how they approached their ‘album leaf’ compositions. It also follows Gruß-Moment 1, written for the Lucerne Festival, for Pierre Boulez’s ninetieth birthday in 2015; now, of course, we live in the shadow of Boulez’s death, and the piece is dedicated to his memory. Rihm has written for what looks like an average-sized orchestra: neither Bach’s, nor Gurrelieder’s. There are interesting omissions, though: clarinets, bassoons (not contra-bassoon, however), and trumpets. On the other hand, there are four players apiece for flutes, horns, and percussion. It is with an English horn solo that the lament or tombeau begins, perhaps inevitably putting us in mind of Tristan und Isolde. (Whether I liked it or not, I could not help but find intervallic and rhythmic correspondences and differences with Wagner’s Shepherd Song.) Four horns follow on: as so often with Rihm, forging further links with German Romanticism, albeit more obliquely here than sometimes. Was that even a hint of Bruckner in the string unison lines to come? Oboe and trombone duetting, still more English horn and trombone duetting, put me a little in mind of Stockhausen’s Mittwoch, but that was probably just me; for one can play the game of correspondences all one likes, of course, and it is in many ways just a way of finding one’s bearing. It was only really with the sounding of the quartet of flutes and percussion together that my ears found something that might possibly remind me of Boulez, and then not overtly. Such, however, is not necessarily the point of a tribute. If this were a tombeau, it was not gloomy, some post-expressionist Angst prior to the close notwithstanding, but then why should it be? Perhaps this was more akin to an ode from Berlioz, Gluck, even Stravsinky; perhaps not. It intrigued, nevertheless, nowhere more so than in the soft, yet Fafner-like timpani of the closing bars: ‘dolce, quasi cantando’. The solo opening suggested that this might be Ligeti very much in ‘process music’ mode. What especially intrigued about how both work and performance developed was that that was sort of true, but far from entirely so. That, one might say, is where music comes in. Kopatchinskaja’s solo line gradually distinguished itself more and more from the many other solo lines in this first movement Praeludium, taking on an almost ‘traditional’ virtuosic tinge, at least in the manner of Stravinsky’s Soldier’s Tale (squared). Kopatchinskaja’s duetting with tuned percussion proved one of the multiple delights here. In the second movement, I initially reflected how viola-like her tone sounded – until the viola soloist entered. A sensibility that was far from un-Romantic grew, until the moment of typical Ligetian madness when a quartet of woodwind players, Pied-Piper-like, took up their ocarinas. If the chorale section inevitably brought Berg to mind, what greater inspiration could there be? The high, fantastical writing with which the Intermezzo opens had me think of Prokofiev, although, of course, it went very much its own way. Such was the intensity of the climax that it felt as though the music were over all too quickly. The slow, inevitable, riveting progress of the Passacaglia brought, as the movement came to its climax, further thoughts of Berg. This was almost incredibly committed playing from all concerned. Prokofiev sounded as if he were unwinding in the final movement, soon characterised by the reinstatement of a virtuosity it is difficult not to think of in some sense as ‘Hungarian’. Rattle left the stage, deadpan, for Kopatchinskaja to play her own cadenza: great fun, both gesturally and musically. There was a sense of trying to goad him and the orchestra to come back, eventually successful when the conductor reappeared from the percussion to bring the concerto to a close. The second half was devoted to the Mahler symphony. Its first movement cannot escape from a certain sense of molding, so perhaps sets itself up better for Rattle’s approach than some of the composer’s more (apparently, deceptively) simple inspirations. It certainly did not drag – unlike, say, the well-nigh unbearable performance I heard from Vladimir Jurowski last year. Rattle ensured that the score was treated affectionately yet not too much so, and at times, with a little yet not too much brusqueness. Stabrawa’s violin solo – and not just that – sounded sweetly sardonic, or should that be sardonically sweet? Mediaeval, or rather pseudo-mediaeval, pictorialism was appealing throughout, coexisting happily with Mahler’s idiosyncratic neo-Classicism. I was not sure what it all ‘meant’, but I am not sure that I should have been sure: that is not really the point, or at least need not be. I was delighted to hear some vinegar in the second movement scordatura playing. Often, that ends up sounding ‘just’ dissonant, rather than making something (though never too much) out of the different tuning. Ligeti, I thought, would have approved. Counterpoint was admirably clear: one could really hear a multitude of lines, almost as if St Anthony of Padua were preaching to a shoal of particularly wayward, individualistic fish. However illusory, there remained a sense of essential simplicity to the slow movement, which sounded very much as if it grew out of Mahler’s four-part string writing: an expanded string quartet, almost. The sound was perhaps sweeter than one often hears, but not unreasonably so, and in any case often tended towards silver too. Not that the darker side was neglected, far from it, but the movement proved commendably un-hysterical. Thematic foreshadowings of the finale were nicely brought out, and that movement grew as ‘naturally’ as I have ever heard out of its predecessor, without a break, yet not rushed. Camilla Tilling offered one of the most interpretatively interesting accounts of the text I have heard. There was a greater range of vocal colour than one often hears, very much at the service of the words. Stylistically, she drew out, or so it seemed, the music’s kinship with the world of Hänsel und Gretel, whilst Rattle’s keen ear for instrumental detail enriched rather than overwhelming. Rarely have I heard so touching a performance of the final stanza, nor a more lingering, loving farewell from the harp. Mahler’s progressive tonality had indeed opened up a new, heavenly world. A wonderful concert! If I had my doubts about the substance of the new Sonatina facile for piano solo, by Jörg Widmann, it was entertaining enough, and received a bravura performance from Mitsuko Uchida. A tribute to Mozart’s C major Piano Sonata, KV 545, with identical movement markings, ‘Allegro’, ‘Andante’, and ‘Rondo’, it starts off in deconstructive fashion not dissimilar to Schnittke’s (K)ein Sommernachtstraum. Harmonies in the opening ‘Allegro’ at times sound not unlike Henze; I thought of his own Mozart piano tribute, Cherubino. The nineteenth century looms large too, throughout the piece: ‘nineteenth century Mozart’, Beethoven (op.13? ), Chopin, et al. As with his Con brio Concert Overture, there is much that teases: is this quotation or allusion? Does it matter? Whatever it is, though, it is certainly not facile in the sense applied to Mozart’s work. Otherwise, there was much to intrigue, to enjoy, even to confound. The starkness of much of Uchida’s piano playing in the first movement of the Brahms F minor Sonata guarded against any conventional notion of autumnal mellowness. (I love that variety of Brahms as much as the next listener, perhaps more, but it is not the only way.) Widmann’s clarinet playing seemed to look even towards Birtwistle, certainly towards Berg and Schoenberg. A sense of exhaustion and the impetus dialectically derived from it brought Mendelssohn to mind at one point, so this was not simply Brahms from a twentieth- or indeed twenty-first century standpoint. Intervals – and then how does one not think of Webern – did a good deal of the work, just as they should. I liked the uneasy, even sometimes effortful lyricism of the second movement. The opening, neo-Mozartian – definitely not Mozartian without the ‘neo’ – grace of the Allegretto grazioso was soon undercut. Darkness was far from confined to the central section. The finale was more volatile than one generally hears, and all the better for it. Widmann’s solo Fantasie proved quite the tour de force. A multiphonic drone-like opening, out of which Don Juan-like ascending phrases issue forth, lodged itself long in the memory. All manner of extended techniques, and more ‘traditional’ ones – jazzy glissandi, for instance – contributed to a compelling narrative. Contours were traced by Widmann as performer, insofar as one can distinguish the two, with high drama and a sovereign command of musical line. The C minor Impromptu with which the second half opened began, perhaps echoing the Brahms, in stark fashion, yet would ultimately prove far from unyielding. Nevertheless, such was the granite-like implacability of Uchida’s performance, that I thought more of a conductor such as Otto Klemperer than of pianists. For all the grandeur, though, there was great intimacy too: such were revealed to be two sides of the same coin. Schubert sounded contemporary, if anything rather more so than the Widmann of the Sonatina facile. Schumann’s Fantasiestücke opened as if with a reminiscence of an earlier Brahms than the one we had heard here. Melody, harmony, even developmental method evoked kinship. By the same token, there was something fresher here, redolent of a stroll through German Romantic woods. The second piece was fantastical – as the title would suggest! – in the best Schumann tradition. There was nothing ‘late’ here, save perhaps for our perception. Sunny, yet not without shadow, the third exhibited more than a hint of neo-Classicism, suggesting connections with Widmann’s own work. The Andante from Mendelssohn’s early clarinet sonata in E-flat major offered longing without exaggeration; connections with much of what we had heard earlier were inescapable, but were never forced upon us. Would it be too daunting a prospect, or too tiring an experience, to hear all six Bach Cello Suites in a single concert? Not even slightly. ‘Journey’ is doubtless by now far too well worn a cliché to be admissible for me here. Nevertheless, in a programme interview, Alisa Weilerstein framed its use so well that I did not even notice: ‘To perform all the Suites one after another is a transcendental experience, a remarkable journey for both musician and listener. There is an almost childlike innocence to the opening of the G major Suite, and from there the music blossoms and broadens, and step by step the emotional range expands. The same goes for the rhythmic range: by the time you reach the Sixth Suite its Allemande is almost free-form.’ Part of that framing was, of course, her performance, which more than held the attention from beginning to end. Weilerstein opened the G major Suite with warm tone, a tempo that seemed just right, telling rubato, and a startling, yet never remotely self-regarding, variety of articulation and dynamic range. Following that opening Prelude, the Allemande sounded soulful, even dreamy, yet always directed. A swift Courante contrast proved just as flexible. This was not playing that exhibited undue respect for bar-lines. The energy generated was musical, never artificially whipped up. Here as elsewhere, the Sarabande is at the heart of the Suite; this heart sang as if it were issuing a declaration of love both courtly and Romantic, almost a major-mode ‘black pearl’ (to borrow from Wanda Landowska). The pair of Minuets that followed seemed almost to exhibit different musical ‘characters’ through their differing articulations. The good, honest enjoyment of the Gigue put me in mind again of the Goldberg Variations, this time the world of the ‘Quodlibet’. There is good as well as ill in German provincialism – at least at its best. Not for nothing, I think, did my thoughts take me briefly to Thomas Mann and his Doctor Faustus, before it all ‘went wrong’. The Prelude to the D minor Suite offered a songful lament, never maudlin, keenly felt. Its Allemande sounded similar yet different: a sister, perhaps, followed by an energetic sibling Courante. The Sarabande-heart spoke unmistakeably of sorrow, of loss, even perhaps of tragedy. It met its defiant response in the first Minuet, its aristocratic dance so clearly delineated it could almost be seen. Following the relative foil of the second Minuet, there was greater defiance still, I think, in the concluding Gigue, its character much in the mould of the first Minuet, extending and developing what I, perhaps too subjectively, cannot help but characterise as its ‘point of view’. Some might here have found Weilerstein’s rubato too much; for me, it always had rhetorical justification. From the simple building block of its opening scales, the C major Prelude developed in just the way Weilerstein in that quotation from the programme interview had suggested. The extraordinary proliferation of the Allemande had me think, eccentrically or otherwise, of Boulez. Messagesequisse? Its flightier cousin, the Courante, proved flightier only in a superficial sense; there was neither lack of character nor of heart here, just different character. Breadth did not preclude chiaroscuro in Weilerstein’s (very broad) reading of the Sarabande, quite the contrary. A catchy, good-natured performance of the first Bourrée benefited greatly from an almost Mozartian (Trio-like) complement in the second. They made me smile: not something to be sniffed at. The freedom (and organisation) of the Gigue suggested Bartók – but such is Bach. From C major to E-flat major: the very different tonality (especially for the cello) made itself felt immediately. These were new challenges, new opportunities; perhaps this Prelude even spoke with a new seriousness. Likewise the Allemande, although its kinship to its predecessor’s proliferative qualities remained clear. The opening phrase of the Courante sounded almost Purcellian in its insouciance, swiftly offset by undeniable complexity. A sense of austere, although never puritanical, relationship to the world of the viola da gamba characterised the Sarabande. Noticeable reduction in vibrato was part of that; just as important, however, was the communication of harmonic rhythm. The ebullience of the opening to the first Bourrée suggested an opening phrase to an imaginary (middle-period?) Beethoven quartet; the second was again heard very much in ‘trio’ vein. If Weilerstein’s tuning faltered somewhat in the Gigue, the spirit of this finale, runaway in the best sense, was very much present throughout. Next to the relative minor: C. The Prelude’s opening section sounded more overtly and multifariously tragic than anything we had heard previously. Resonances from Monteverdi to Mahler and beyond were suggested, all the more powerful for the lack of any exaggeration on Weilerstein’s part; any pointing always had a discernible purpose. It was not only the key that made me think occasionally of the opening movement of Mahler’s Second Symphony. Mozart came to mind in the fugal writing and playing, so suggestive that there was no chance of missing the ‘missing’ voices of parts thereof. The Allemande sounded similarly haunted by ghosts of the musical past and future (interestingly, given the key, never Beethoven). It sounded as if an old Italian operatic lament, transformed, even transfigured, and always it danced. Bartók reappeared, with more than a dash of the stile antico, in the Courante. And Beethoven himself, the Beethoven of the late quartets, seemed a guiding presence in the world of the Sarabande, perhaps a more expansive Webern too. Every note counted, without pedantry. The dignity of response in the first Gavotte and the quicksilver genius of the second led us to an implacable Gigue. And yet, it moved. The distinctive range (tenor, one might say) of the D minor Suite presented us with yet another, distinct modernity. Rapt lyricism and well-nigh Ligetian swarming were the stuff of the Prelude. Development and proliferation again characterised, utterly distinctively, the Allemande and Courante, the latter no less rich for its different character. Now the Sarabande seemed cut from the same cloth as the great opening chorus to the St Matthew Passion – whatever the obvious differences. A nervy, vigorous first Minuet once again led, with Classical ‘naturalness’ – I thought of Haydn – to its sibling. There was no mistaking the note of triumph in the final Gigue: simple and complex, a true, irrepressible force for unity forged through diversity and development. Just a diary item, here, to remind me that I went, and what I heard: sorry… I decided, not least in the light of both having been under the weather and being very busy, that it would be good to take advantage of an opportunity to attend without writing. I am sure that many others who were there at this excellent recital will have accounts for you, in any case. My highlight? Hearing the Duparc songs sound so post-Wagnerian from Jonas Kaufmann and so post-Lisztian from Helmut Deutsch. Schumann and Britten received right royal treatment too. I shall stop now, though, before this metamorphoses into a review… Normal service will be resumed very soon. In a well-nigh perfect performance of Mozart’s ‘sonata for beginners’ – how treacherous that claim! – Mitsuko Uchida gave the impression and not far, I think, from the reality of utter effacement of the self. This was not anonymity, yet the sense, however illusory, of unmediated access to the work ‘itself’ could rarely have been felt more strongly. Come scritto, certainly; but not just as written, as we know it in the concert hall, or the parlour, of our imagination. The first movement’s passage work was second to none, articulation not only true, but a true joy. (How I wished my schoolboy left hand had permitted me to play a single bar, let alone a single phrase, like that. Not that my right hand had come so much closer…) ‘Just’ scales for so much of the development: not at all? The subdominant surprise in the recapitulation registered with subtle strength, preparing the way for Mozart’s concomitantly surprising path back ‘home’. The second movement offered similar virtues. Its transparency is cruel, even by Mozart’s standards, yet that posed, so it seemed, Uchida no difficulty whatsoever. The music flowed beautifully, its legato ‘like oil’. And how a chromatic note made all the difference in the world: so much from what might have looked so little! The turn to the minor mode evinced no exaggeration, but any degree of honest, even heart-rending drama. Uchida resisted the common impulse to rush the finale, which received a reading full of charm, delight, and yes, again, subtlety. Childlike? Perhaps, but certainly never childish. Mozart’s – Uchida’s too? – second naïveté worked its magic nevertheless. The C major Fantasie followed the interval. Uchida’s first movement opened magisterially – a word overused, but not, I think, inappropriate here – yet capable of yielding. One always ‘knows’ that this is one of Schumann’s greatest works; here one undoubtedly felt it too, not least through the ongoing sense of perpetual development: ‘developing variation’, as any Schoenbergian would tell you. Here, comparisons with Liszt’s B minor Sonata seemed fully apposite. So did Schumann’s marking: ‘Durchaus phantastisch und leidenschaftlich vorzutragen’. Originality and eloquence were to be heard equally in all three movements: work and performance. The second had a fine, almost Elgarian swagger to its opening. It was questioned thereafter, again not unlike Elgar, although it was Chopin who came to mind in the serenity with which ensuing contrast was sung, likewise in the flickering, even dissolving, tendencies of Uchida’s left hand. Out of that extraordinary march emerged mystery and clarity in equal measure, in contest and collaboration. The quiet dignity with which the musical narrative was constructed, or perhaps better, constructed itself, brought an intriguing combination of methods with roots in both Chopin and late Beethoven. As for the Innigkeit heard and felt: that was entirely Schumann’s own. So were the paths down which the musical journey led us and its conclusion: they could hardly have been envisaged, let alone navigated, by anyone else. Uchida reminded us keenly of that ineffable individuality. In a similarly exquisite fusion of process and poetry, she did that too in an encore of breathtaking delicacy and unerring direction. I guessed (correctly) that it had been by Kurtág. Only this morning did I find out which piece: Play with Infinity. Quite.